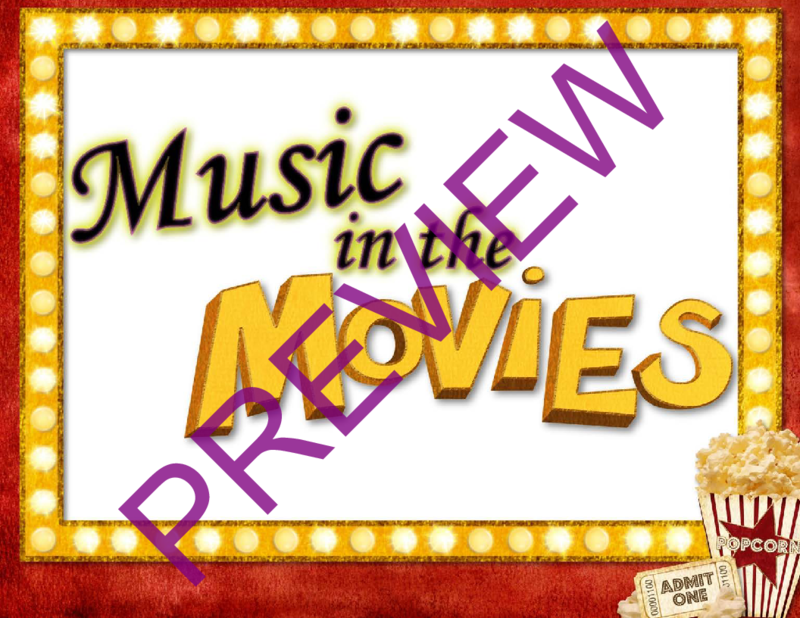 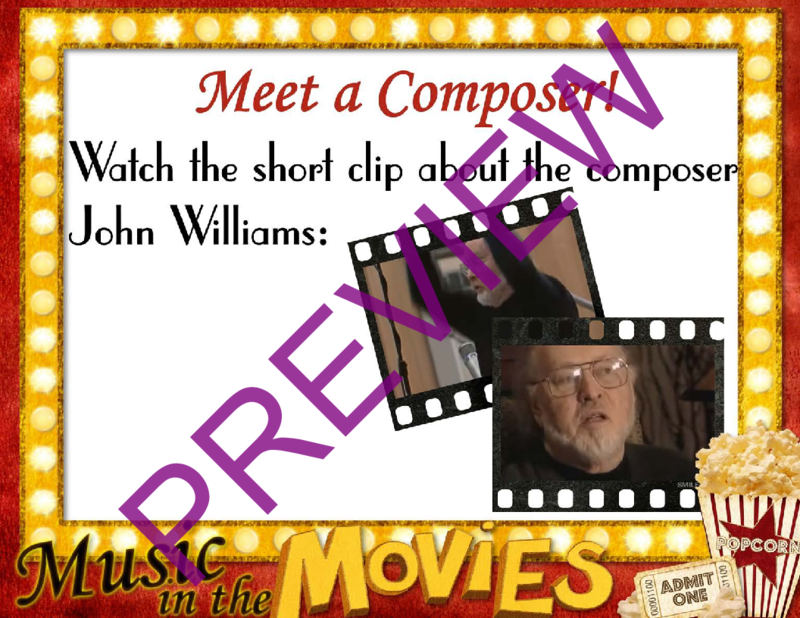 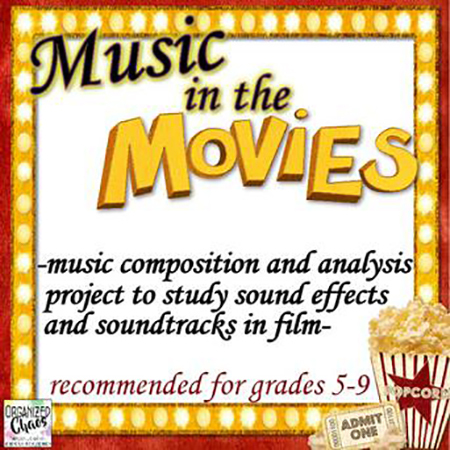 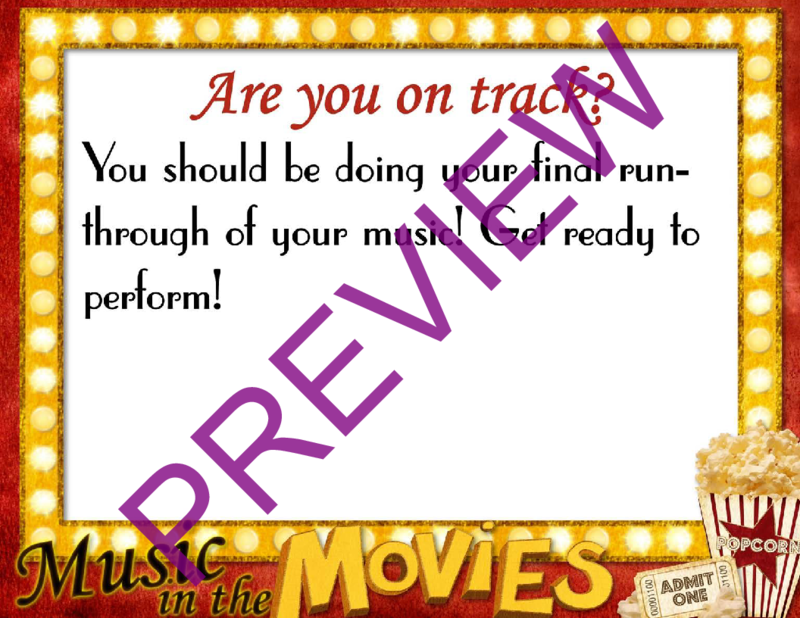 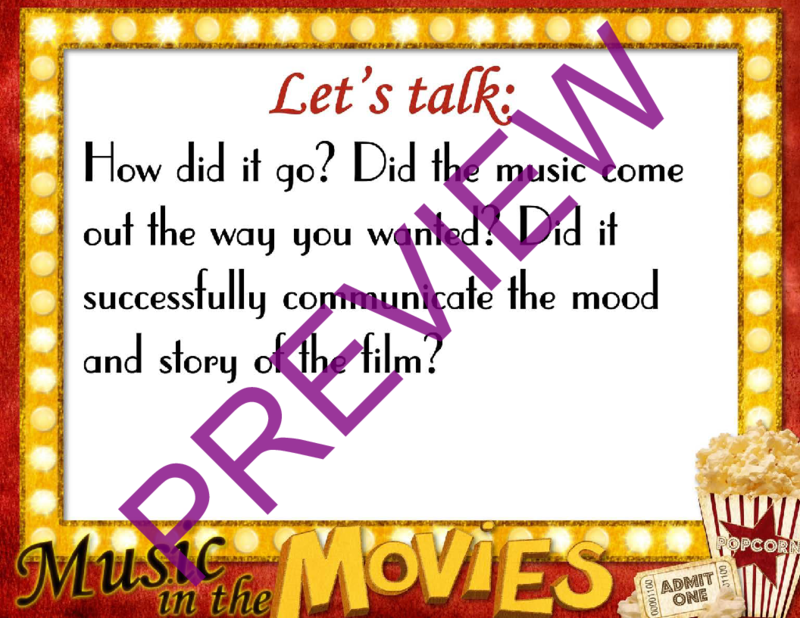 This movie music unit is a great way to engage upper-elementary and middle school students and get them composing, listening, analyzing, and thinking about music. 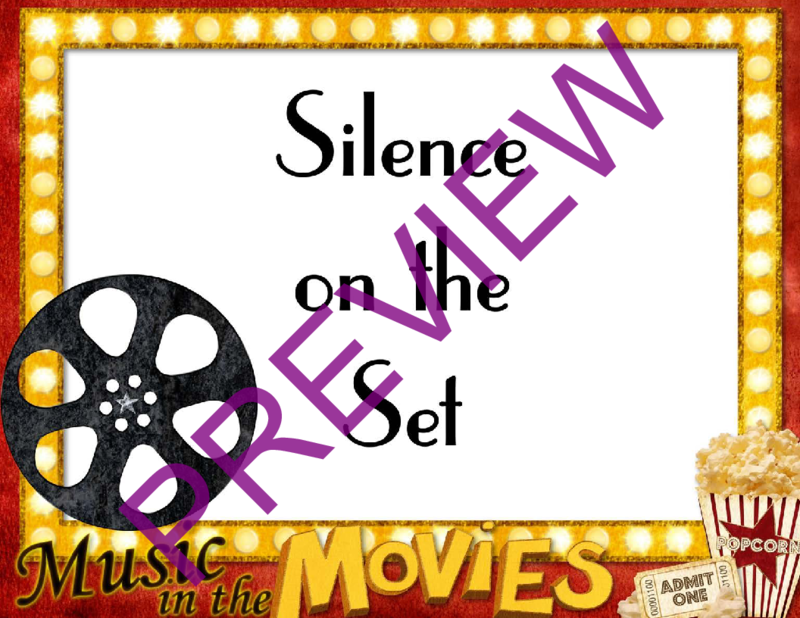 Students will explore the importance of music and sound in film; different music jobs within the film industry focusing on Foley artists and score composers; and add their own sound effects and soundtrack to a short film. 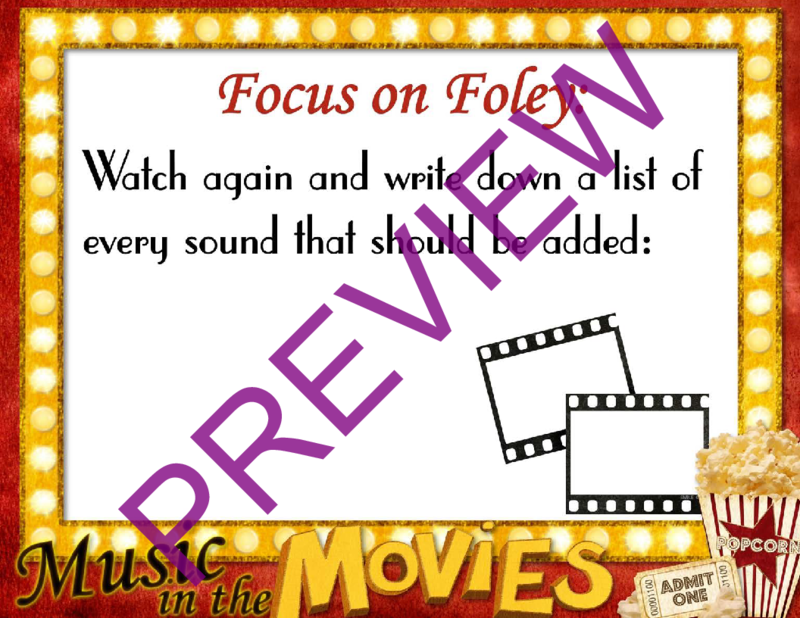 This project can be done in a variety of ways to suit your classroom needs, including individual assignment, small group work, or full class activity, and there are several components that can be taught separately or together so you can pick and choose what you want to include. 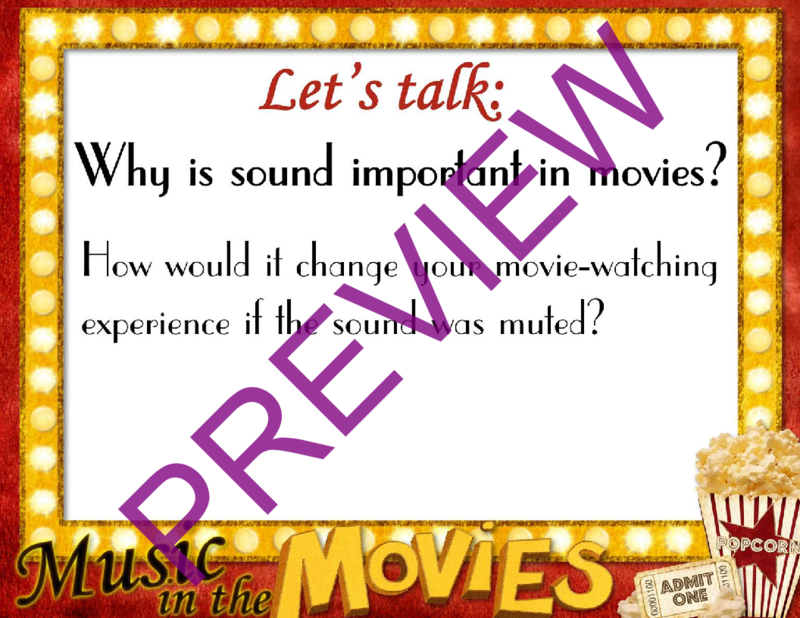 Included in this unit: PowerPoint slides, which can be projected on a screen, displayed on a SmartBoard, or printed out, plus a blank slide to add your own ideas; links to interviews with people in the industry and short clips to prompt discussion; on-task reminders for students for each step of the project; discussion questions and prompts; and directions for the project. 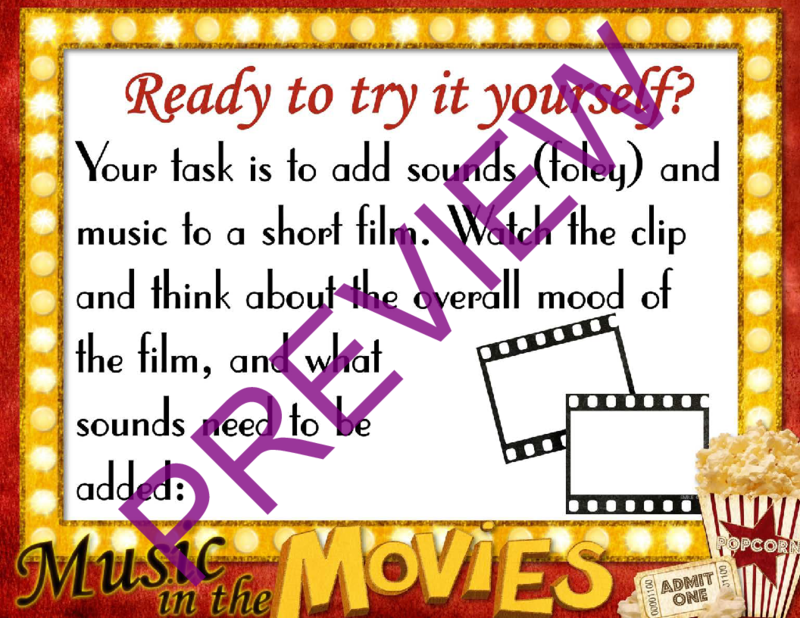 Also includes PDF teacher notes, with suggestions and tips for teaching the project in a whole-class, small group, or individualized format; links to all the resources you need; plus editable worksheets for students to use in adding their own sound effects and music to a short film.